Motherboard is one of the most important components of your computer. It is the place where all your other components are plugged-in or sits so that they can perform their operation. You can say that motherboard acts as an interface for all your computer components, which includes cpu, ram, hard disk, smps, graphics card, sound card etc. Motherboard is sometimes called mobo in short. Motherboards comes in different sizes, specification and features that makes some people very confused on how to choose the best motherboard for their PC. So in this article I will tell you the basic things that you should keep in mind while selecting a good motherboard for your computer or pc. Here shown in the picture are the main components of a standard motherboard. Here are some of the important things that you should keep in mind when getting a new motherboard for your computer. Motherboards mainly come in two standard sizes, ATX and microATX. ATX are full sized motherboards that comes with more features, expansion slots and they offer top notch performance. ATX motherboards are very costly as compared to microATX ones, but if you have loads of cash and want top performance from your PC then you should go for ATX motherboard. ATX motherboards also consume more power so make sure you have good enough smps to handle it. The other one is the microATX which is very common and is used by majority of the people. They are quite smaller in size and have limited features and expansion slots. They are also quite cheaper, inferior in quality and performance as compared to the full sized ATX motherboards. If you are on budget then you should get a good quality microATX motherboard. 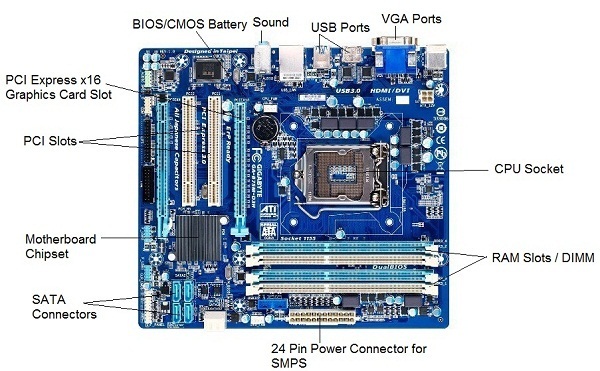 microATX Motherboard size – maximum size 9.6 × 9.6 inch (244 × 244 mm) but some microATX motherboards can be smaller with dimensions 6.75 × 6.75 inch (171.45 × 171.45 mm). You should first make up your mind about the processor you want to buy or already have. There are only two major CPU or Processor manufacturing companies in the world, they are Intel and AMD. 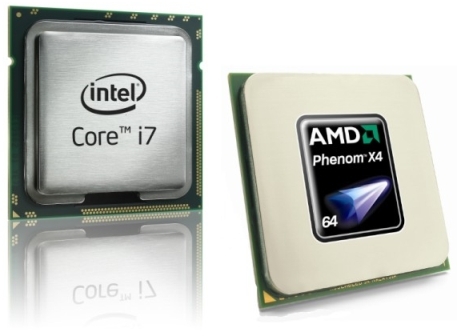 Both these processors have different architecture and requires different motherboards i.e. you cannot use Intel processor on AMD based motherboard and vice versa. Intel processors are more popular because of their amazing performance and their trust among users. This doesn’t mean that AMD processors are bad, they are equally good, and also they are relatively less costly than the Intel based processors. So while selecting a motherboard for your pc you should be clear about the processor you want to use. Different processors or cpu have different socket type or pins, so you should be very careful in selecting a motherboard for your processor type. While getting a motherboard you must be totally sure that the motherboard you are choosing supports the specified cpu socket or pin number, otherwise you will not be able to use that cpu on your motherboard. 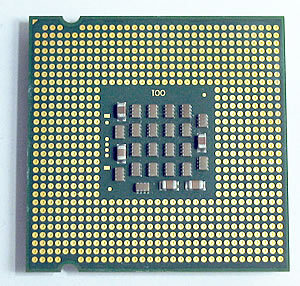 Present day Intel motherboards have pins in the motherboard socket while their processors are pinless (pinless processors), but AMD processors have pins. 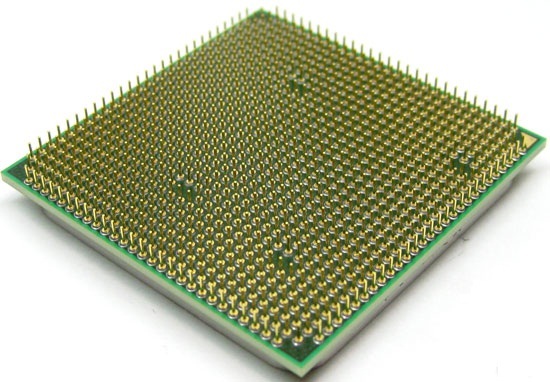 Here are some popular and available socket types of Intel and AMD CPU’s or Processors. 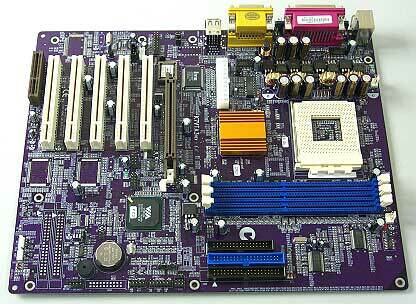 Brand or Company is one of the most important things that you should look for in a motherboard. Some good and well known brands of motherboards are Asus, Gigabyte, Forsa, MSI. Intel also makes its own original motherboards, which are also quite good but lacks some extra features that other chipset motherboards offer. Today all motherboards use or support DDR3 RAM which is currently the fastest RAM for desktop computer. DDR3 RAM also comes in different speeds so choose a motherboard that supports the highest RAM Speed / FSB. If you are a gamer or run heavy graphics softwares or applications then your motherboard should have the graphics card slot to support a graphics card. Today’s motherboards comes with PCI-Express x16 slot which is used for installing a graphics card. Also some high-end motherboards comes with two PCI-Express x16 slots so that you can run two identical graphics cards (should support SLI or Crossfire) in parallel for more graphics performance. Almost all modern day motherboard comes with integrated sound. If you can do some research then you will find that in some motherboard models you can get 5.1, 6.1 or 7.1 channel sound support including some other great features too, so make sure your motherboard onboard sound is good enough. Realtek is the most common sound chipset used in the motherboards. USB ports are very useful as nowadays all the external device comes with USB Connectivity. So if you are going to connect more devices to your computer e.g. printer, scanner, webcam etc. then you should have adequate usb ports to accommodate them. Your motherboard should also have the option to support front usb ports for devices like pen drives or usb drives. Also try to get a motherboard with USB 3.0 ports, as it is the latest and fastest way to transfer your data to or from an external hard disk. Some motherboards come with special features like fast boot, dual bios, HDMI etc. If you can get these extra features then it would be an added advantage. I have a Quad Core CPU (Socket 775) & need to buy a new motherboard, can you pls suggest which compatible motherboard is available as of today? There are very few available as of now. They are Zebronics Intel G31 – LGA775, Zebronics Intel G33 – LGA775 and Asrock Intel 41 – LGA775. Yes it is compatible and the price is OK as there are not many options out there. Also i forgot to mention i also have a nVidia GeForce 7650 PCIe card as well, i can see it has PCIe x16 slot, just wanted to confirm if this would be compatible with my graphic card as well? i want to buy a new motherboard under 5000. Plz give me ur suggestion under these two brand. Please specify your processor model first. Here are two that you can buy and LGA 1155 socket motherboards are hard to find these days. Hello sir I want to know about overclock in gaming and we should go for it or not? I also wants to know that motherboard is also important for gaming purposes or I should go for normal good branded motherboard plz help. You can overclock both processor and graphics card but it is a risky process for newbies. Also motherboard is somewhat important in gaming but a normal branded motherboard can serve the gaming purpose too. But sir what does overclock means ? It means running your Processor or GPU at higher speeds than normal. e.g. if your processor is rated at 2.5 GHz then you may run it at 3 GHz or more (depends on various factors) by overclocking. hello akshat, rscently i visited your blog. and get more information because it described simly. problem is.. when i start my pc it run but later a second goes sutdown, again reapitly start and sutdown, mouse got work but keyboard does not work monitor got black and nothing displyed anything, will you please guide me.thanking you…. Can you please tell me you PC configuration and SMPS model. can you please also tell me the SMPS company and the current on its 12V rail. Look at under 12V and please tell me the current below it. I think your SMPS is letting you down. How much budget do you have for new SMPS? Sir My Mercury CPU have ASUS M2N68-AM SE2 Motherboard at 2009.This is very best motherboard for playing games ? My motherboard was olded I was want to upgrade a new intel motherboard for my Mercury KM84 CPU which intel motherboard will set for my cpu at lowest price please tell me sir ! My gigabyte 78lmt-s2pt got damaged and I have to purchase a new MB.. I have AMD Phenom II X4 955BE processor. Please recommend a good MB for me. Also please if possible send me a link where i can compare all supported MB. I tried but there is no perfect details. I suggest you to go for Asus M5A78L-M LX 3. It is a good motherboard that will be sufficient for your needs. Will my cpu support another MB ?? I want a good MB of 2016-2017 year. Can i get a gaming MB ?? Will any AM3+ socket MB support my cpu ?? I want a MB with good on board graphic card. I am a casual gamer and dont want to invest on graphics card. On board graphics card of both the above MB i.e. Radeon HD 3000. Serves my purpose but if i can get upgrade it will be welcomed. I was see in System Information and CPUZID application but that have “To be filled by O.E.M” Why says this sir? Sir I was opened CPU Case to see Motherboard’s model and I saw in ZEBRONICS logo upside having ‘SK1’ this is model number ? Can you please share the pic. I have a assembled PC with Asus H81M-CS mother board and with Intel i3 – 4160, 3.6 GHZ, 3 MB Cache LGA 1150 Processor and ZION 4 GB DDR3 RAM and the SMPS is CORSAIR VS450 purchased in April 2016. Now the mother board is not working and sent for repair/replacement to Asus under warranty period. 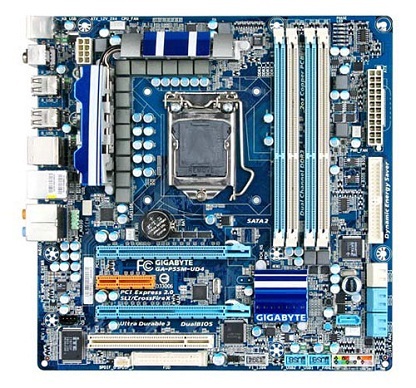 I wanted to replace the mother board urgently and the following are available. Please suggest the best for my PC. I would say go for Gigabyte B85M-D3V-A as it offer more ports and slots.